The safety of your home when you are away from your home will be your highest concern forever. But how safe is it really with the regular locking systems? 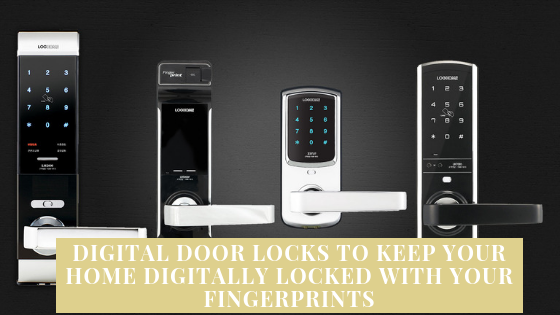 Think of it and if you get to know about the digital locking system that Cyfrodom has been offering its users for the security and safety of their homes. Let fingerprints and digital door locks replace your key locks in your home. Get rid of the hassles of loosing your home keys by giving it a digital twist. You no need to carry keys wherever you go, you don’t have to worry about loosing them here and there. Keyless convenience to unlock your house with digital door locks. Cyfrodom’s digital door locks offer the users the convenience to unlock your doors with the help of Mortise Locks, Dead Bolt Locks, Glass Door Locks which have option of Fingerprint, RF Smart card, Pin & key. Stay secure, safe. Protect your home at the convenience of your fingertips. Give no one the chance the even think of unlocking your home or entering your home without you permitting them to enter. Just make sure you set up your home with these digital door lock systems from Cyfrodom and be the saviour of your own family and house. Let your family members live in peace by this security and locking systems.